While there is no shortage of events to kick off your spring weekend, one such show brings a lot of promise to your Saturday night. Ohio-based rock quintet, Red Sun Rising, returns to the Bourbon’s main stage this Saturday, March 23. Tickets start at $15 for this 18+ show, doors open at 7:00 p.m.
On tour through mid-July, the band will arrive at the Bourbon just one day after their release of a new EP, entitled Peel. Peel follows the release of their second full-length album, Thread, which was dropped last March. The new EP can be preordered here. The released single off the upcoming EP is an acoustic version of one of Red Sun Rising’s songs, “Left for Dead” which appears on Thread. This year’s Peel tour joins Red Sun Rising with other rockers Dirty Honey and Goodbye June, rounding out the bill with a mix of psychedelic, classic, and hard rock bands. Previous tours and local appearances have set Red Sun Rising aptly alongside The Used, 333, and local band Freakabout. Supporting touring act Goodbye June started their blend of soul, rock, and blues in 2017 when their debut album earned them a spot in Rolling Stone, a commercial, and a nearly sold-out tour. This Nashville trio of cousins has deep roots in the soul and blues sound that provides a welcome contrast to Red Sun Rising’s harder sound. Likewise, supporting act Dirty Honey is an up-and-coming rock band from Los Angeles that will join Red Sun Rising on several of the remaining tour dates. While Dirty Honey is still in the works of releasing a debut EP, their first single “Fire Away” is on Spotify. “Fire Away” lends itself to a band with powerful vocals and distortion heavy guitar and bass parts, likening Dirty Honey to many classic rock influences. With nearly 350 Facebook responses on The Bourbon’s event, Saturday night’s show promises to bring an energetic crowd and packed house. Red Sun Rising is known for their loyal fans and dramatic on-stage performances. The band gracefully mixes psychedelic and pop-punk rock to form a dynamic and bold sound that has lead them since the band’s formation in 2007. Described on their Spotify bio as “purposefully unpredictable” Red Sun Rising has certainly lived up to that expectation, and Peel seems to be no different. Saturday’s bill mixes a fantastic tour group of articulate and talented musicians that play on new rock styles with a classic influences. The show will begin at 8:00 p.m. More information and tickets can be found on Facebook. 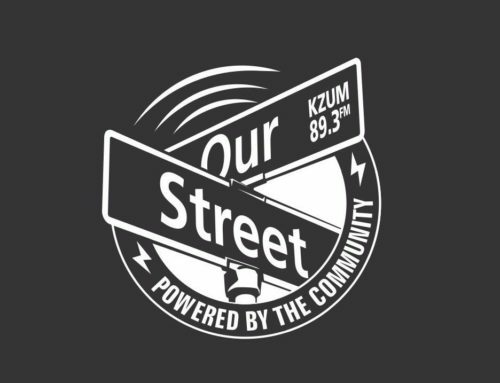 Karynn Brown is an editorial intern with KZUM.